One of my favorite applications, Sliding Messaging, received an update this morning, bringing a re-worked settings menu which it was in desperate need of. Users will now swipe (naturally) through the various pages of settings, as well as swiping through the different themes the app offers. In a previous update, a new UI was created for the app, allowing users to see a Google Hangouts-like interface for texting. Sliding Messaging is still one of those apps that I think everyone should have installed on their device. 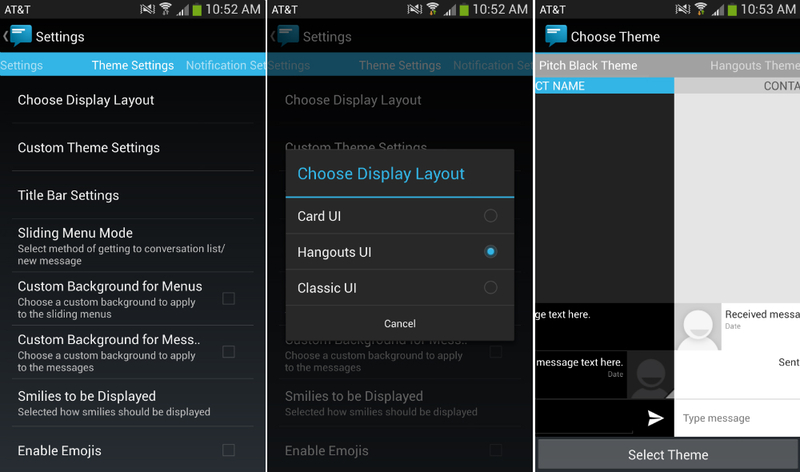 Yes, it supports MMS and features a ton of other goodies that others crave from a texting app. You can grab the update or check out the app if you haven’t yet through Google Play.